At Hotel Solis you will immediately feel the warm and inviting atmosphere of a typical Roman residence, where you will feel right at home, just a short distance away from the Fori Imperiali (Imperial Forums) and from the Colosseum, in the fascinating historic center of the Eternal City. The hotel has rooms and areas that are tidy and well kept even in the smallest of details, managed by a multilingual staff who is always available to help you and provide you with useful information on Rome and on how to visit the most beautiful areas of the city. Hotel Solis in Rome has wi-fi connection, an essential item for every traveller, convenient private parking area for those coming by car and a vast array of other services. 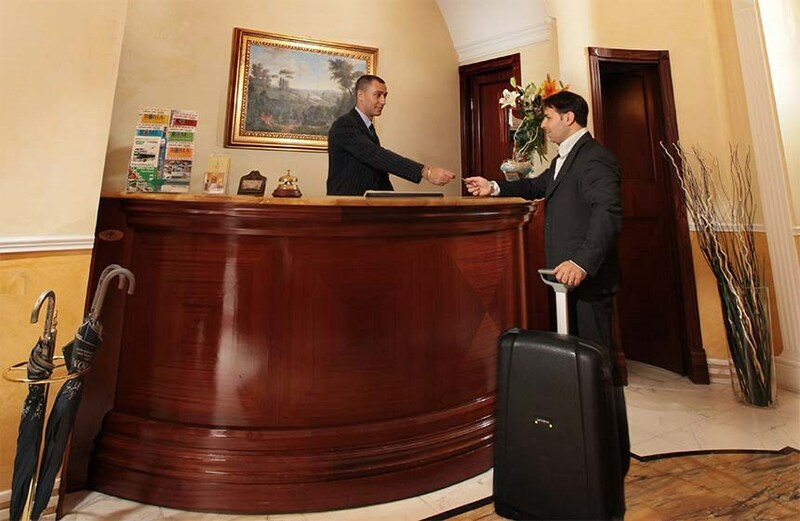 The favorable quality and price ratio and the great location makes of Hotel Solis the ideal choice for those who wish to discover Rome and enjoy a splendid vacation, in addition to easily reaching the head offices of important firms and companies. The hotel's common areas include a bar and a reading room, great places where to spend an evening socializing with the other guests or enjoying a great movie, after a day spent visiting the historic center or at a business meeting. Do you want to subscribe to our secret offers?